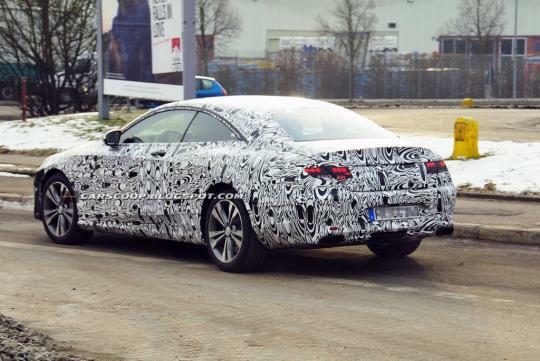 The 2015 Mercedes S-Class coupe has been spied with lesser camouflage. 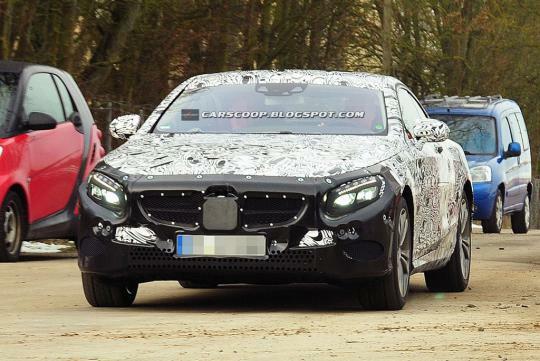 The model will be the successor to the CL-Class. The name change makes it the first two-door S-Class since the W140 generation of the 1990s. The ultra-luxury coupe will not be just an S-Class with two doors removed but features its own unique styling with a lower front fascia and a sloped roof top. The S-class coupe will share its rear-wheel-drive architecture with the next-generation S-class sedan, which means substantial weight savings as well as optional all-wheel drive. All lightings will be equipped with LEDs. 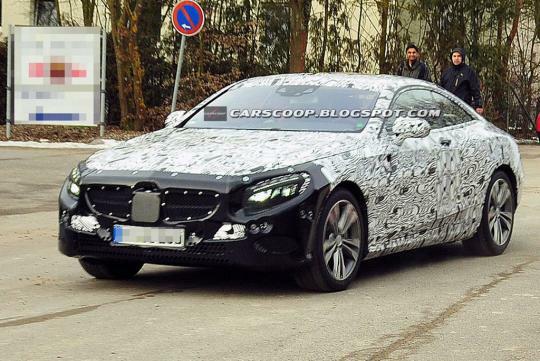 Motivation for the new S-Class coupe will likely be the twin-turbocharged V8 and V12 engines for both the regular and the high-powered AMG models. 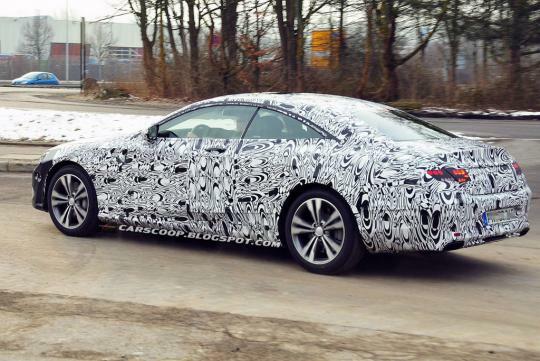 The 2015 S-Class coupe might go on sale in late 2014. There will also be an S-class convertible variant that will share the coupe's mechanicals and styling. The Bentley Continental GT and Rolls-Royce Wraith are the S-Class coupe's main competitors.